The Dog Lovers Show is coming to Sydney again!! When: Saturday 6th and Sunday 7th August 2016. Location: Royal Hall of Industries and the Hordern Pavilion, Moore Park, Sydney. Camille Brandt from Orchard Hills Veterinary Hospital will be attending the Dog Lovers Show as a special guest of Rose-Hip Vital. Camille will be answering questions from the public at the Rose-Hip Vital stall. Camille will be taking her dog Pony and Rachel is bringing her labrador Molly to the show, so come along and say Hi. Rose-Hip Vital® Canine is a unique and patented high impact 100% plant-based joint supplement and immune system support. Made from 100% patented Rosehip powder and backed by more than 30 scientific studies including 8 clinical trials, it’s a clinically proven powerful antioxidant, rich source of natural Vitamin C. The first natural product registered by the APVMA since the introduction of new guidelines in 2009. Check out Camille’s testimonial on Rose-Hip Vital on our website page. www.orchardhillsvet.com.au, on the Pet Care Links. 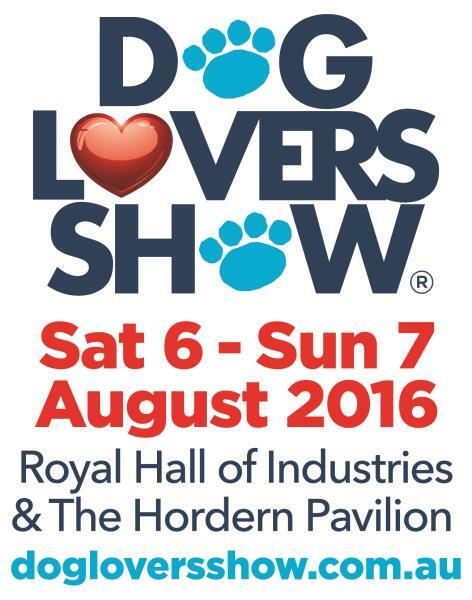 The Dog Lovers Show is set to again transform the Hordern Pavilion and Royal Hall of Industries into a haven for dog lovers as it bounds back into Sydney town on Saturday 6th and Sunday 7th August 2016. The biggest names in vet and pet care will present free presentations on the Kong Celebrity Stage. Celebrities include: Dr Chris Brown, Dr Katrina & The Wonderdogs, the Village Vets (Dr Anthony & Dr James) and famous film & TV Dog Trainer Peta Clark. The show will play host to over 30 DOGS NSW Breed Clubs, hundreds of stalls offering all the latest and greatest gear for your pooch, free presentations from celebrity dog experts, free vet, grooming and training demonstrations and most importantly the opportunity to get up-close-and-personal with literally hundreds of beautiful dogs of all shapes, sizes and breeds! Show goers will also be able to witness some of Australia’s most talented canines in the Royal Canin Arena, featuring impressive demonstrations of speed, agility, flyball, flygility and K9 disc. The popular Military Working Dog Tribute returns with more historical information and talks from war veterans retelling their own personal stories of working with war dogs in the battlefield including the training process involved for dogs to become active service canines. The Breed Showcase offers visitors a rare opportunity to meet and compare canines from over 35 Breed Clubs, with experts on hand to provide detailed information on each dog including their unique characteristics. The Perfect Match zone will provide prospective owners with invaluable insights to help them find the right dog for their lifestyle, family and home with a clever and comprehensive questionnaire that can be completed in a matter of minutes and dozens of large information posters. The Pat-A-Pooch nursery will again be full of smiles and wagging tails, as attendees get the chance to meet and connect with a plethora of pooches and puppies including guide, assistance, working, police and rescue dogs. It’s the ultimate day out for dog lovers of all ages with the Sydney Dog Lovers Show providing dog-devotees with a once a year opportunity to celebrate the companionship, unconditional love and joy that our furry friends bring to our lives every day. Please feel free to pop in anytime and meet the team at Orchard Hills Veterinary Hospital. Call 4736 2027 to make an appointment. Check us out on Facebook and online at www.orchardhillsvet.com.au.